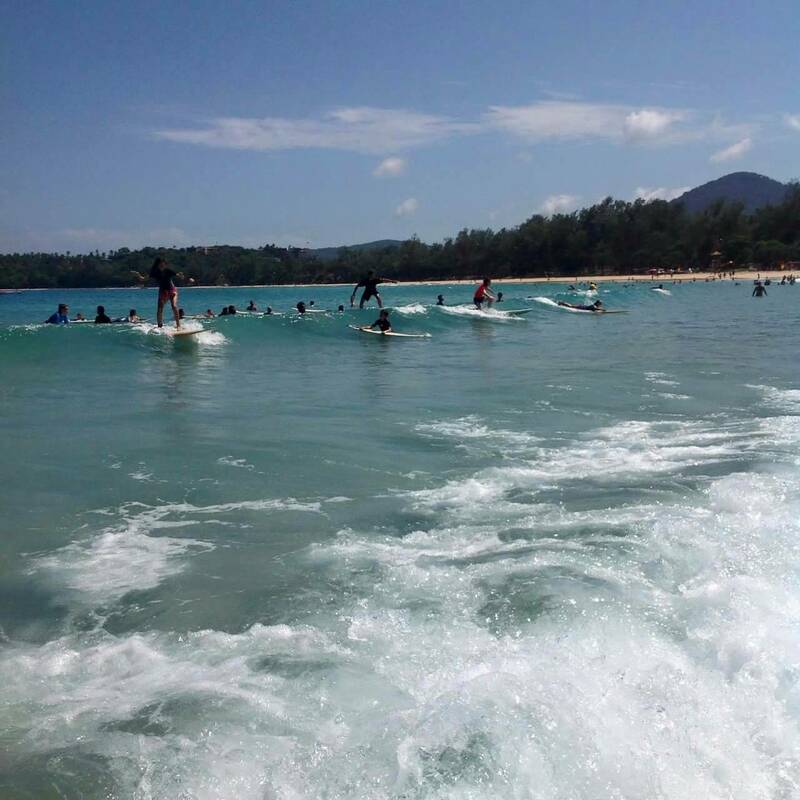 Phuket Surfing * Special offers * Because life is better when you surf! Good vibes happen on the tides – Your wave is waiting! You’ve planned your holiday to Phuket and look for good opportunities to spend the time? You enjoy surfing, or you’d like to give it your first try? Then look no further. 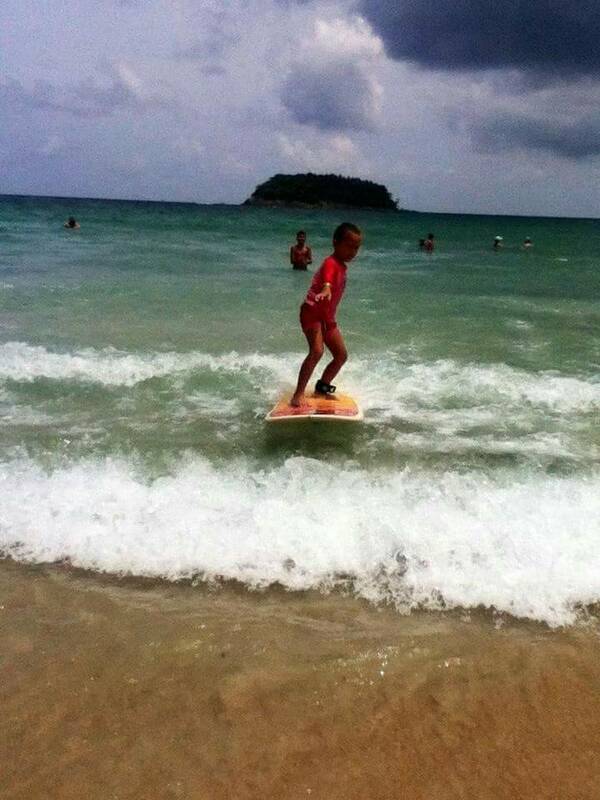 Our Surfing school in Kata Beach caters to all your needs, whether you’re a beginner or experienced surfer. 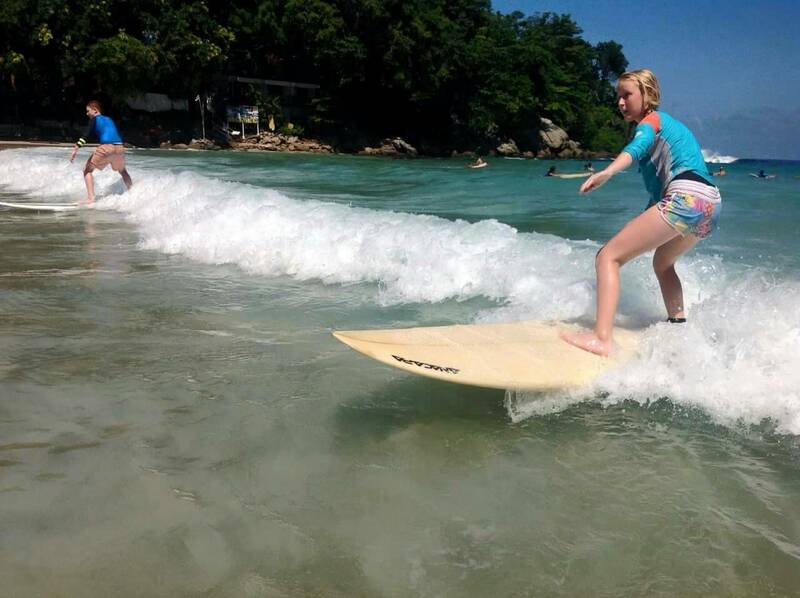 At Kata Beach you’ll find waves that suits everyone. From low to high – your passion for surfing can be tested here! If in doubt, paddle out! Often all it takes is to take the first step. This goes for many things in life, but especially when it comes to surfing. If you’ve seen surfers riding the waves, you can bet on that they didn’t learn it overnight. It didn’t come to them naturally to balance a board on the tallest waves, while performing tricks and ride the surf loop, encircled by water. Every passionated surfer, whether he or she did so professionally, or as a hobby, started with small steps – they started with surf lessons. To some surfing is a passion. To others it is a dose of adrenalin. To most however, surfing is an adventure waiting to happen. Once you tried to surf, we can guarantee you that this is something you’ll want to try over and over again. Surfing is not only fun – it is an amazing way to get great exercise for all ages, as we like to say here. And with the right instructor, surfing is easy – for all ages! Whether you’ll be taking surf lessons as a group or individual, we’ll make sure that you’ll learn the basics first, before heading out to hunt and ride the waves. You’ll never be alone out there, don’t worry. One of our skilled instructors will be right there with you. While you surf, we’ll analyse your skills to give you suggestions about improvements, so you can enjoy surfing more above the waves than below them. If you’re an experienced surfer, we’ll show you progressive techniques in a different course, tailored to your exact profound skills. 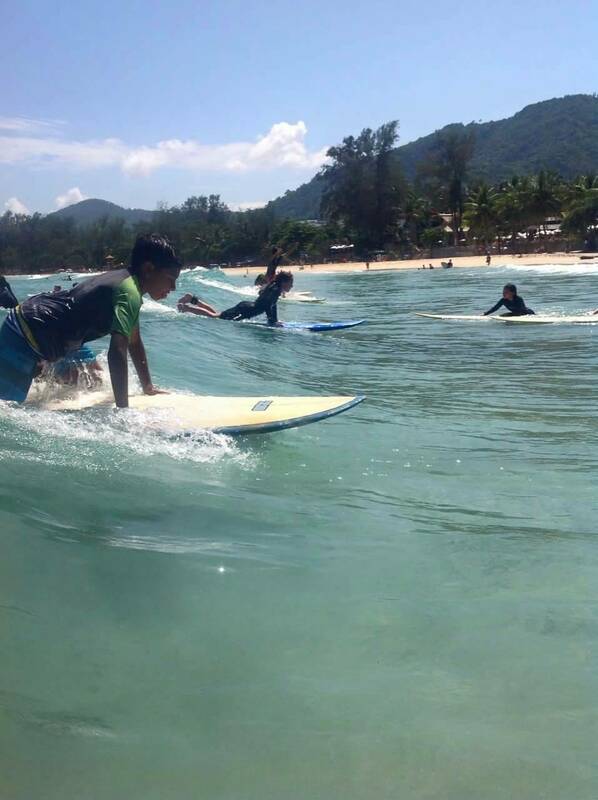 At Phuket Surfing School in Phuket there’s a Course for every need and ability. 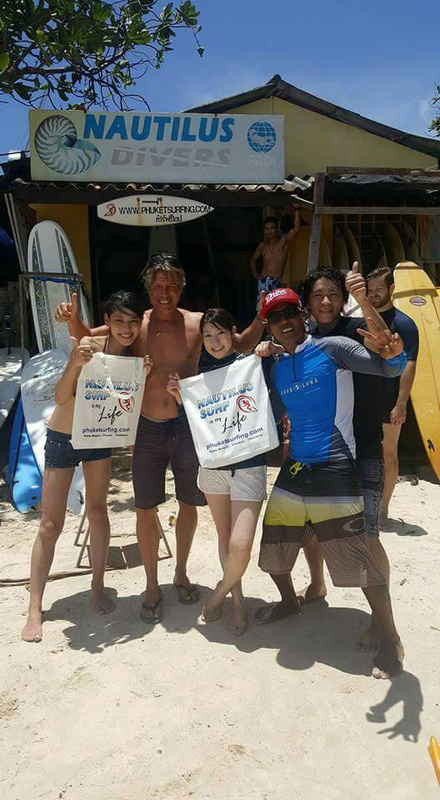 We only work with the best surf guides in Phuket, so you’ll be in good hands at all times. Before you head out on your designated wave, we’ll analyse the weather forecast, so we can find the right waves for you. Once your confidence and ability grows, we include more sessions in various surf spots around the area. While we teach you how to surf, we make sure that you’ll enjoy every bit of it. 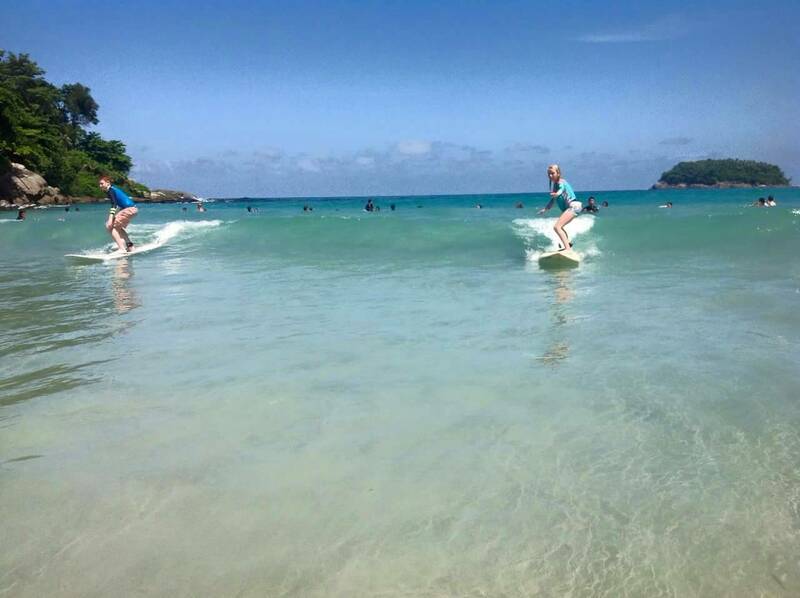 Don’t think school when you read surf school – think surf holiday!